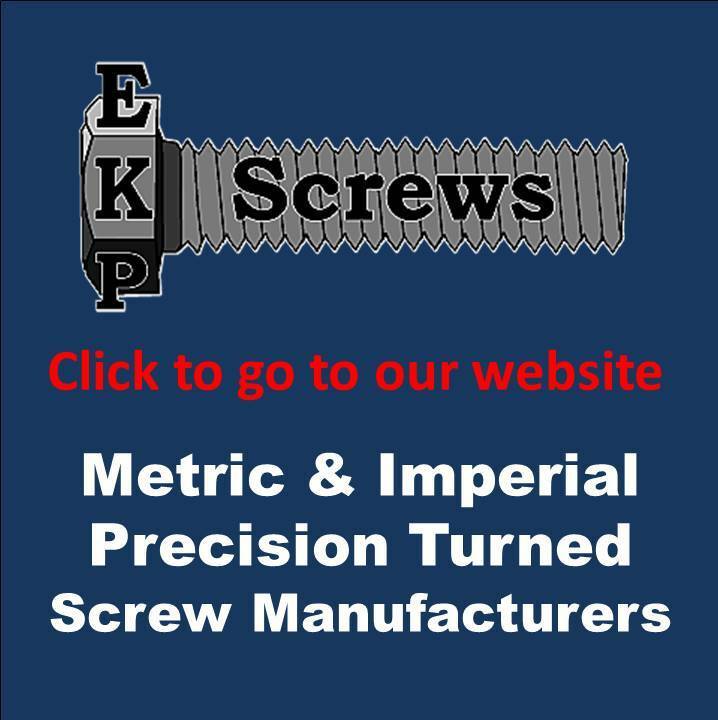 Fasteners made to British imperial threads in Inch and BA sizes are a British designed product and it is assumed only available in the UK; both America, Europe and of course the UK have specialist suppliers of BSF, BA and BSW products with inventory available off the shelf. 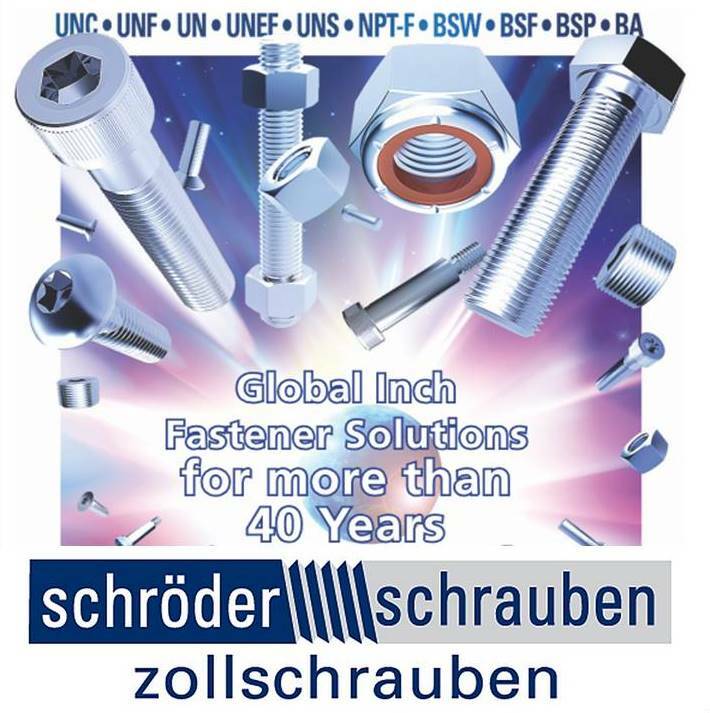 Many of these companies also have the ability to import British BSW, BSF and BA fastener products from the UK in both steel and stainless steel; the more popular sizes are also available in volume from Indian and Taiwan who have a historical tradition of using these thread types. UK fastener manufacturers have the skills and historical knowledge to produce imperial fasteners in both the hot forged and cold formed condition. 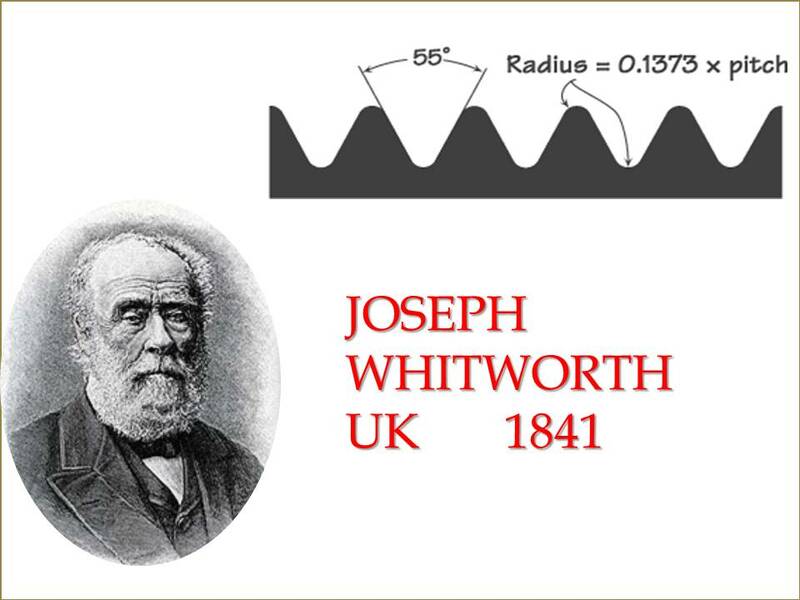 Henry Maudslay took on Joseph Whitworth as an apprentice, Whitworth proved exceptionally talented. He next worked at Joseph Clements, where they were trying to build Babbage's calculating engine, the first computer, and finally set up shop for himself as a toolmaker. 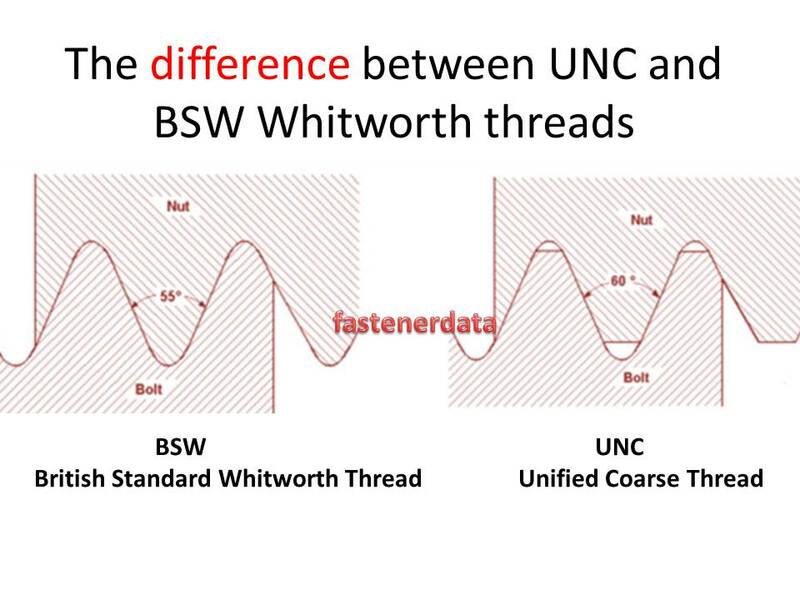 Whitworth set himself the task of devising a standard for threads. He also collected bolts from all over England, noting which sizes had shown to be most useful, and the results of various thread forms. In 1841 he proposed as a standard a thread form with an included angle of 55°, and the tops and bottoms of the threads rounded with a radius equal to 0.1373 times the pitch. Due in part to the immense prestige Whitworth gained from the display of his machines at the Crystal Palace Exhibition of 1851, Whitworth's thread system was in general use in Great Britain by 1860. Later a second series with finer threads (BSF British Standard Fine) was added. BA screw thread sizes cover a range of small screw thread, the largest being 0BA and the smallest 16BA. They are used for miniature instruments, clocks, optics, moving coil meters, conduit boxes, micro applications and modelling. The design was first formulated in 1884, following a study of Swiss practice and was standardised in 1903. BA was part of the British imperial thread family and covered sizes below 1/4" the British standard for BA threads is BS93 printed in 1951.